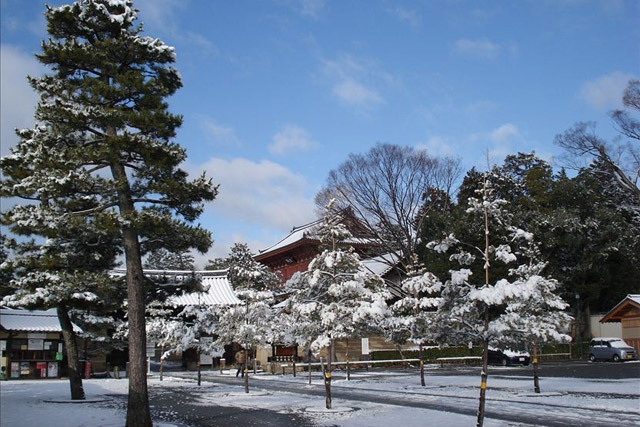 Daitokuji temple is one of Japan’s significant sites, head of the Rinzai sect of Buddhism. It was established in 1319 by Shuho Myocho. One of Chado’s (the way of tea) most influential figures, Sen no Rikyu, lived and died at Daitokuji; he still rests here. 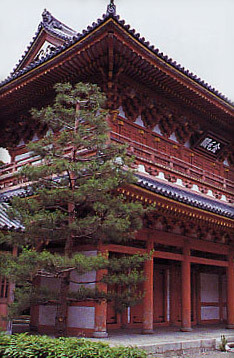 It is believed that Daitokuji was the birth place of fusion between Zen and Chado. Tatami is inseparable from Chado. The relationship between the two are complementary and essential. Daitokuji’s grounds, for generations has been the Motoyama family children’s backyard and playground. Having this deep relationship and connection to Daitokuji gives us a responsibility to deliver the traditional culture of Japan and tatami craftsmanship to the next generation – we are proud to share it with the world. In Daitokuji you will experience “wabi-sabi (simple and humble aesthetics)”, a core principle of Japanese culture. Motoyama Tatami is a neighbor of the temple, please contact us and stop by to see the workshop. Daitokuji was established in 1319 by Shuho Myocho. After its construction in the 14th century, the temple was frequented by Emperor Go-Daigo of Japan. After the Ashikaga shogunate was established, the shogunate chose to ignore it in favor of temples that had not openly opposed them. Since then, many masters of tea ceremony joined the Zen practice, including Sen no Rikyu. Legend has it that Sen no Rikyu completed two of Daitokuji’s three gates in 1589. He placed a statue of himself on top of the second gate. According to the legend, Hideyoshi Toyotomi (a powerful samurai) ordered that the offending statue be removed and that Sen no Rikyu commit seppuku (suicide). This temple has been deeply related to tea ceremony. Most of tea ceremony utensils that are designated as national treasures are housed in this temple complex.